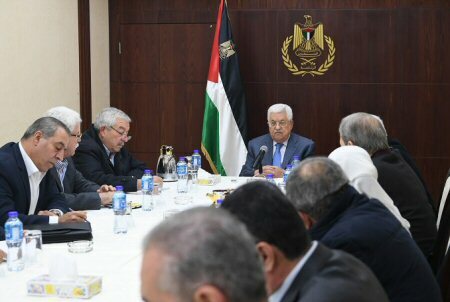 Palestinian Authority (PA) President Mahmoud Abbas signed, on Thursday, accession papers to a number of international organizations and conventions. According to Ma’an, Abbas signed accession papers to 11 international organizations and conventions, which included the Universal Postal Union, the Convention on the Nationality of Married Women, the Optional Protocol to the Convention on the Rights of the Child, the Optional Protocol to the Convention on the Rights of Persons with Disabilities, and the Optional Protocol to the Convention on the Elimination of All Forms of Discrimination against Women. Additionally signed were the Basel Protocol on Liability and Compensation for Damage Resulting from Transboundary Movements of Hazardous Wastes and their Disposal, the Vienna Convention of Road Traffic, the Protocol Concerning Countries or Territories at Present Occupied, the Convention on Consent to Marriage, the Minimum Age for Marriage and Registration of Marriages, the Agreement Establishing the Common Fund for Commodities, and the International Convention on the Arrest of Ships.